Part of Alterna Savings and Credit Union Ltd. Contents from a duotang folder include a few early records of the beginning of the Employees Credit Union , minutes of annual meetings, including the first Annual Meeting, and memoranda to members. A second name change occurred in the early 1990s. The file consists of marketing materials. A third name change. The file consists of newsletters, marketing materials including a flyer announcing 40 years of service to the Ryerson community. The credit union changed its name in the late 1970s. The file contains primarily marketing materials, reports, and a newsletter. Memoranda to credit union members, meeting agenda and minutes, report of the Board of Directors, and notices. 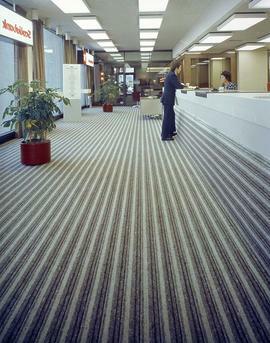 Copy photograph of a bank interior. 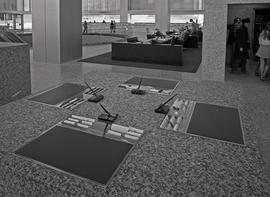 Interior and exterior views of bank branch. 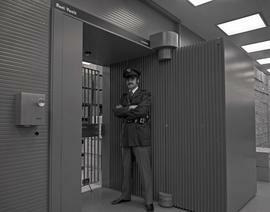 Photographs of a CIBC bank vault in Commerce Court, with a security guard standing in front of the door. 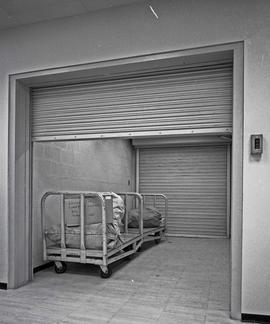 Photographs of a CIBC bank loading dock in Commerce Court, Toronto. 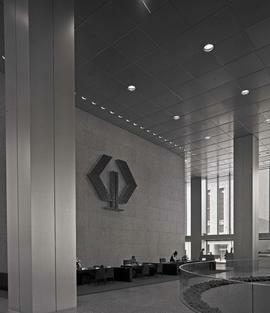 Photographs of the CIBC bank lobby and people at an information book, in Commerce Court, Toronto. 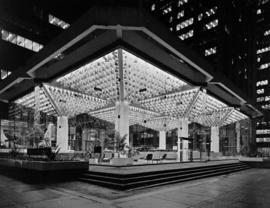 Copy negatives of the Bank of Montreal Pavilion, Bentall Centre, Vancouver (glass stucutre). 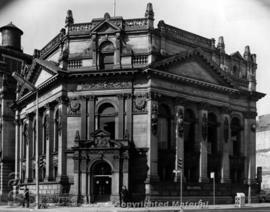 Exterior views of the 1862 head office of the Bank of Toronto at Wellington and Church Streets, demolished to make way for the construction of the Toronto-Dominion Bank tower. Architectural drawing of interior, and two construction views showing 10th floor walkways with steel beams and glass walls. Photograph of a mid-rise office building on Granville Street, Vancouver, B.C. with large signage for the Imperial Bank of Canada. 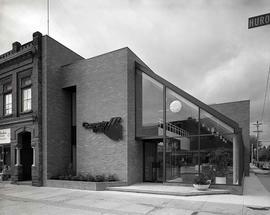 Folder contains 1 b&w photograph of the Kelowna Credit Union from January 1970. Interior detail photographs of entranceway and pillars in mezzanine, boardroom and office space. The images were printed for an article in the January 1985 issue of Canadian Architect magazine.